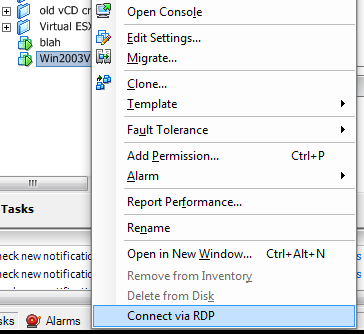 Another handy utility from Xtravirt – it adds a shortcut to the right-click context menu in the vSphere client to launch an RDP session to that particular VM. 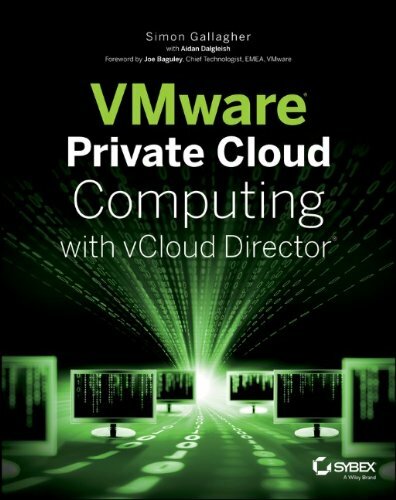 Very useful, of course you’ll need to ensure your admin workstation can get to port 3389/TCP (RDP) on that particular VM, but I find this very useful. I like this plugin and tend to use it in my home lab more than in production environments. Not that it’s deficient in any way, it’s more a matter of preference for me. In a fluid and ever-changing environment like my lab it’s great. In production environments that have slower rates of change and different support requirements (vCenter may not be available for instance), I prefer to use an RDP connection manager and setup an entry for each VM as they are created. Very useful utility, thanks for sharing this one. Looking forward to use it. If your VMs have more then one network (ie backup network, etc) on them, then it seems to always pick that one 😦 and ofc not work.